When you’re caring for your loved one who has a cognitive illness or is too old and inform to take care of themselves, it’s easy to forget to take care of yourself. While being a caregiver, it is normal to feel like you have no time for yourself, you are always tired, or your physical health is decreasing. Self-Help for the Elderly’s Caregiver Support Services is a social service program for the providers and caregivers of the patient. They are offered planning sessions to learn how to provide a more structured schedule and what to do in certain situations. Caregivers will have resources to community programs such as support groups for themselves, and day care and home care for their loved one. Some of the planning sessions/workshops include topics such as understanding dementia behaviors, stress management, care planning, and practical caregiving. This social service also helps with long-term planning, provides counseling services, and helps with applying for assistive devices. If elders suffer from Alzheimer’s disease or dementia, there are specific resources offered to receive specialized care treatments. 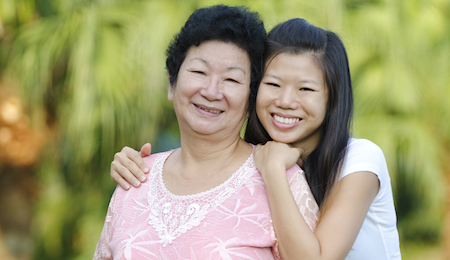 Our goals are to improve physical and mental health and reduce burden, stress, and depression for caregivers. If you have come to the point where you don’t know what the next step is, call Self-Help for the Elderly to receive caregiver support.